Tamil Nadu is well renowned for its temple towns and heritage sites. The state boasts the largest tourism industry in India and most popular tourist destination in the country with highest number of foreign arrivals. The state is also home to a large number of historic buildings, religious sites and heritage monuments, designated as UNESCO World Heritage Sites. Great Living Chola Temples were built by Chola dynasty at Thanjavur in Tamil Nadu. 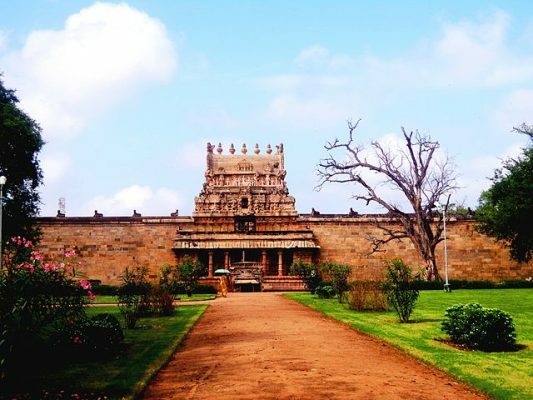 These three Chola temples of Tamil Nadu are best example of Tamil architecture and Dravidian architecture. 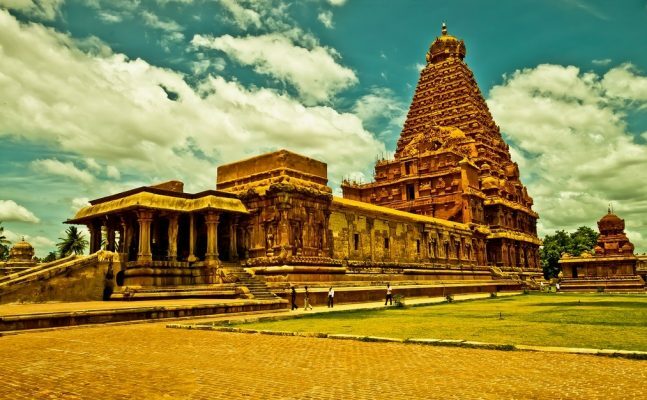 Brihadeeswarar Temple in Thanjavur was built by Raja Raja Chola I and one of the largest Hindu temples in Tamil Nadu. The big temple along with Gangaikonda and Airavatesvara temple are World Heritage Site. Airavatesvara Temple is also dedicated to Lord Shiva, located in the town of Darasuram and was built by Rajaraja Chola II. Kumbakonam town of Tamil Nadu is located 40 km from Thanjavur and noted for number of Hindu temples and Mahamaham festival. 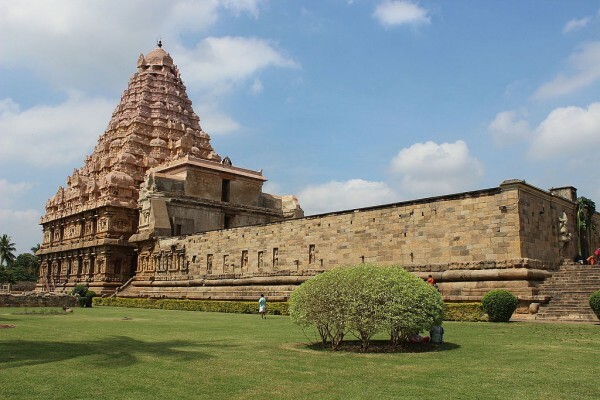 Brihadeeswarar Temple at Gangaikonda Cholapuram is also dedicated to Lord Shiva,was built by Rajendra Chola I. Gangaikonda Cholapuram temple is a protected monument by Archaeological Survey of India. 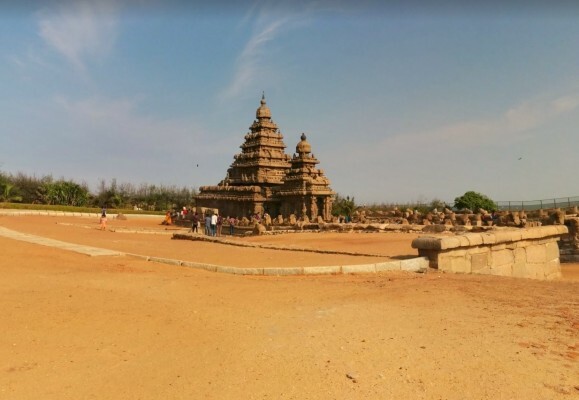 Group of Monuments at Mahabalipuram complex includes rock relief, Olakkannesvara Temple,Descent of the Ganges and Seven Pagodas of Mahabalipuram, Mandapas,Ratha temples and Structural temples. Shore Temple is one of the oldest stone temples of South India and classified as a UNESCO World Heritage Site. 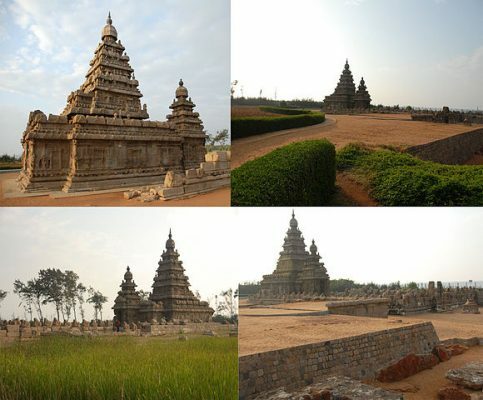 The Shore Temple was built by the Pallava Dynasty with blocks of granite at the shore of the Bay of Bengal. Mahabalipuram was nicknamed the land of seven pagodas, Out of 7 Hindu temples, six other temples have been submerged in the Coromandel Coast. Cave Temples of Mahabalipuram are mandapas or rock-cut caves,overlooking the Coromandel Coast. 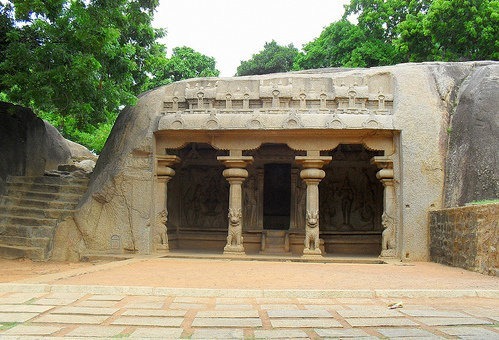 Most notable Cave Temples of Mahabalipuram are Varaha Cave Temple, Krishna Cave Temple and Panchapandava Cave Temple. Descent of the Ganges monument at Mahabalipuram is the largest open air rock relief in the world. 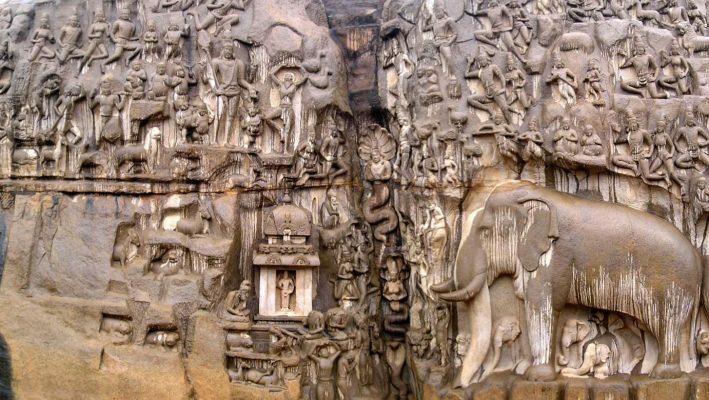 The relief carved on two monolithic rock boulders along with Arjuna’s Penance are protected monument by the Archaeological Survey of India and designated as a UNESCO World Heritage Site under Group of Monuments at Mahabalipuram. 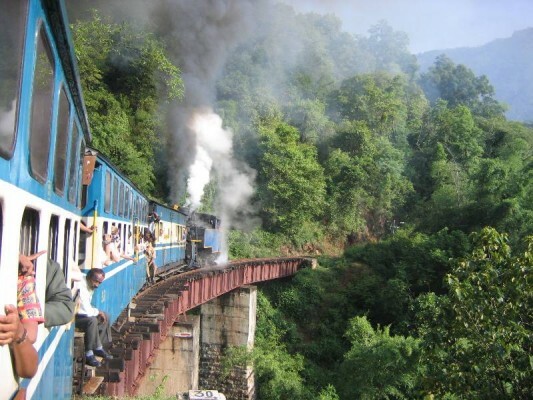 Nilgiri Mountain Railway is the only rack railway in India and added as UNESCO World Heritage Site under Mountain railways of India. The NMR starts from Mettupalayam near Coimbatore Junction and passes through Coonoor, Wellington and reached Udhagamandalam.